Dachshunds are adorable, small and easy to carry leading many to live a life where their feet rarely touch the ground. This makes them more prone to becoming overweight which can lead to major back problems, like a condition called. Intervertebral Disc Disease or IVDD. It is a condition where the cushioning discs between the vertebrae either bulge or burst into the spinal cord space. Theses discs then press on nerves running through the spinal cord causing pain, nerve damage and even paralysis. Bred to be working dogs, their long backbones are not suitable for carrying more than their natural body weight. More often than not Dachshunds do no receive the exercise they need to maintain healthy body weight which means that far too often Dachshunds can also suffer back pain purely because of their weight. 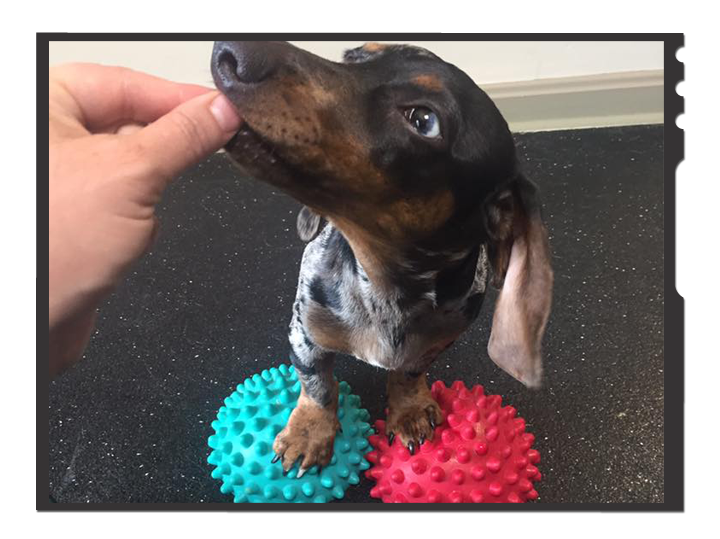 Dachshund Preventative Therapy uses a variety of balance and core strengthening exercises designed for Dachshunds to help give them the exercise they need. A strong dog with balance and body awareness is less prone to injury. Dachshunds are also by nature intelligent and need mental stimulation as well which exercise therapy can provide. 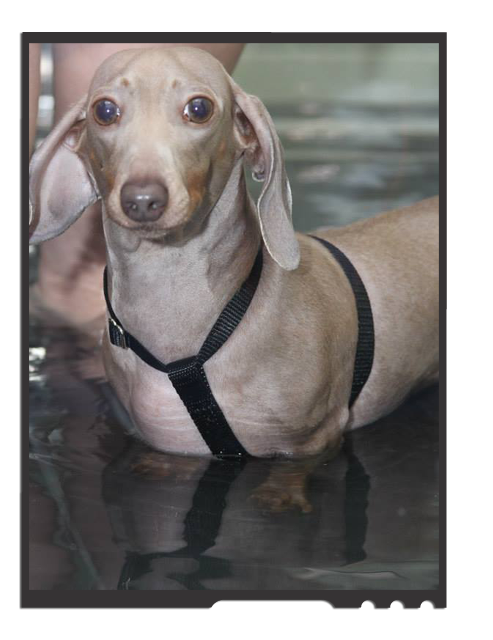 Preventative therapy provides you and our pet with access to Underwater Treadmill therapy, Pit Paws Equipment, and trained staff able to offer instruction for a variety of balance and core strengthening exercises. An exercise program specific to your pets needs that provides balance and core strengthening as well as mental stimulation. Please consult your Veterinarian before starting any type of exercise program. A release for exercise from your primary care Veterinarian is required for a dog with any prior medical issues.